Over the weekend, it was a big celebration for Bishop Dr Chris Kwakpovwe and the entire members of the Manna Prayer Mountains Ministry Worldwide. No, it was not the Bishop's birthday, but the Bishop and the entire Ministry celebrated a special group of people in the society. Manna Prayer Mountain Ministry, took 'love' and 'care' to the various communities where the church has branches. Yes, it was a weekend of love and care which echoed in Ogudu, Lekki (Lagos), Abuja, Kaduna, Akwa Ibom, Port Harcourt, Jos, Houston, UK and so on. And we heard that the weekend celebration was the concluding part of the week long celebration refered to as the church's Mercy Week. But what was the Mercy Week really about? According to Bishop Kwakpovwe, "the Mercy Week is a programme whereby our church goes on a medical outreach to communities around our church branches. It is a programme whereby we meet the health needs of ailing people. We bring a team of medical experts who treat people free and those that cannot be treated there and then, are referred to government hospitals. We capped the outreach activities on Saturday and Sunday. "We also gave to widows in our communities to start them up in one business or another. The 'Mercy Week' did not leave behind the less privileged as the church seized the opportunity to visit motherless babies homes, the maximum prison and children hospices to share gifts and love. Bishop Dr Chris Kwakpovwe said he was personally involved in the medical outreach programme. 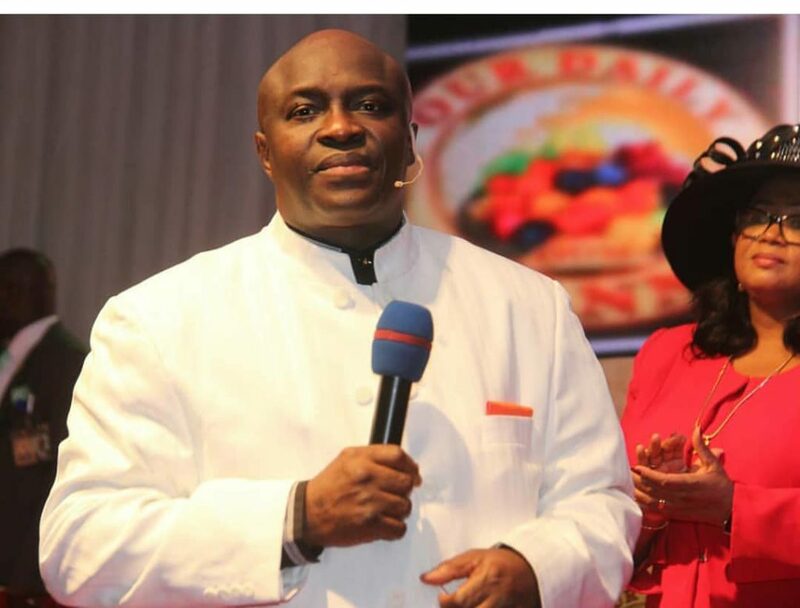 A former pharmacist who God miraculously called to His vineyard after a complicated health issue, Kwakpovwe said he once again adorned his white coat after so many years to encourage the medical team who are volunteers from laudable organisations. "And my wife Rev Dr F. Ejiro Kwakpovwe was also fully involved in the outreach." The 'Mercy Week' he said is a vision which was given to him by God to precede the 14 days fasting period that the church normally observe in the month of July "God said before we fast, we should first of all show mercy so that he would answer our prayers during our fasting period." But why the month of June? We asked Kwakpovwe. He replied: "It is a commandment from God, ours is to obey." Citing the need to obey God's commandment, Kwakpovwe recalled his encounter with God before the beginning of his ministry. "The success of this ministry is the result of obedience. I am a trained pharmacist. I was doing very well working at a pharmaceutical company when God said I should leave the work and follow him. It was tough on me because I wondered how I would feed my family but God said I must leave. I hesitated over the matter and I was struck by illness, a bleeding nose that refused to be cured. Each time I went to the office to resign, my boss refused my resignation and each time doubled my pay. "The illness got so bad and I was dying. I decided to obey God and damned the consequence. I resigned my appointment at the company on my hospital bed. Ten minutes later after I had done that, I regained good health and all sorts of drips and wiring that were medically taped on my body were removed as I was confirmed okay and medically fit. "So I didn't return to the office, I left from the hospital to start a ministry of God. It was tough. I lived in a home without windows, the roof was leaking and feeding was difficult for us, but we held on to the faith. We were not even able to be buying fish! We were cooking our meals with wood and later used sawdust! It was that bad! "That is just a little of what we went through but God kept His faith with us and now He commanded that we hold an annual 'Mercy Week' to give to the people. We just had to obey. And that is what we did last week which was our Mercy Week."